So I’m really good at lists – obsessed, as Hubby would say – so I do really well in the holiday season with keeping track of what we got for which kid (and who it’s from). That said, in the past I’ve often struggled remembering the smaller gifts – for neighbors, friends, co-workers, church family – until the last minute. Ya, shame on me, I know! This year, though, I’m planning ahead and have LOTS of different ideas for some fun little-gift-giving! This is just a simple Cocoa Gift Hat gift that we’re giving my daughter’s classmates. Super easy, super cute, and super cost-effective! 1. First, print these shapes out. 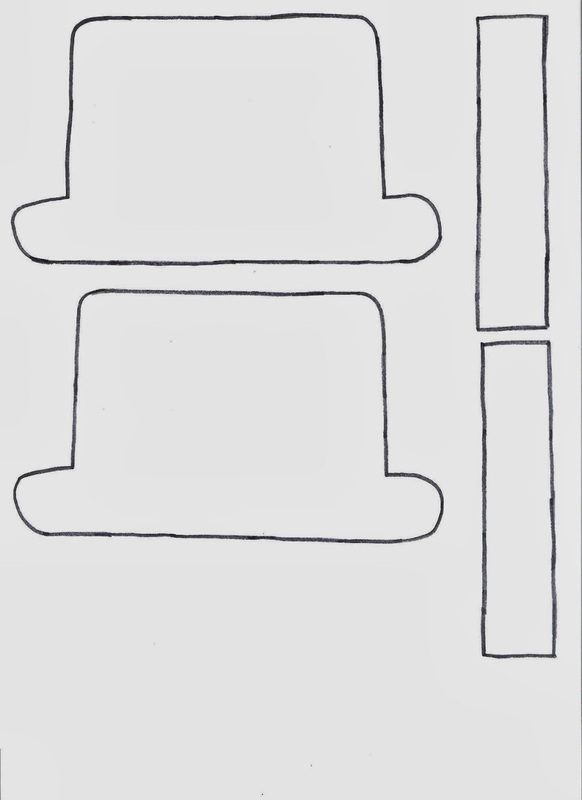 Then use them as stencils to trace your hat and strap shapes. 2. Glue or tape the strap shape across the hat. Use the stamp on the left side, accent (sticker) on the right. 3. Attach the baggie behind the hat with tape or glue. 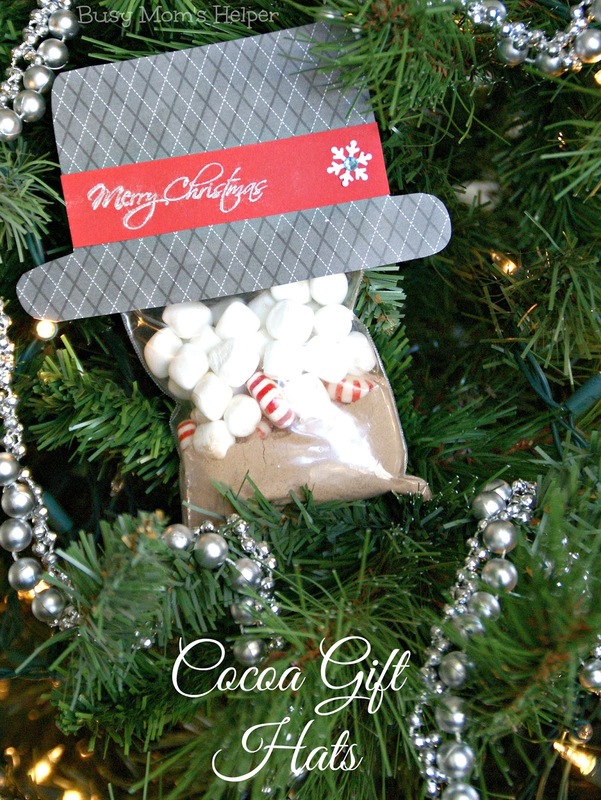 Fill with cocoa (powder or packet), marshmallows and mints. These are so cute, Danielle! 🙂 And such a great idea for unexpected gift givers or for stocking stuffers!